If you have experienced a stroke, it may be affecting your mobility, communication and/or memory. Selecting the right rehabilitation provider following your stroke can have a profound impact on your recovery. 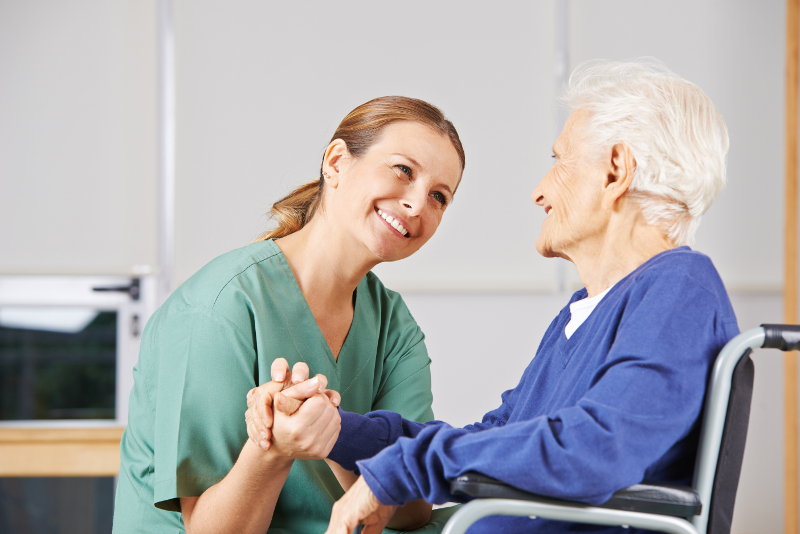 At Sheltering Arms, our approach to stroke rehabilitation is holistic, involving you, your family and your rehabilitation team, and focusing on every aspect of your medical, psychological and social needs. Sheltering Arms offers expert care at every stage of the rehabilitation process, from the hospital to outpatient setting and beyond. All of these services are designed to help you regain independence, attain the fullest recovery possible and return to the life you enjoy. Sheltering Arms has earned the Disease-Specific Care Certification in Stroke Rehabilitation from The Joint Commission. This honor reinforces the high level, dedicated care you will receive in our hospitals. While in the hospital, your physical therapist will help you regain muscle strength, movement and flexibility, while your occupational therapist will work with you on essential activities such as grooming, bathing and dressing. A speech-language pathologist will evaluate your ability to express yourself and understand others, and address swallowing issues when necessary. Medical psychology can also play an essential role in the rehabilitation process, helping with emotional adjustment following a stroke. Your care while in a Sheltering Arms hospital will be overseen by a physiatrist, a doctor specializing in physical medicine and rehabilitation. Your physiatrist will ensure coordinated care and medical stability, track medication and make recommendations for next steps following your hospital stay. Individual therapy, physician and medical psychology services are also available on an outpatient basis with the same quality treatment tools and techniques. Outpatient services may be appropriate for you if you require less intensive care, or to continue the progress made while in the hospital. Sheltering Arms therapists continually seek advanced certifications in neurological rehabilitation and research the latest rehabilitation technologies and treatment programs to ensure that we are able to offer you the most advanced and thorough care available. In fact, if you are experiencing difficulties with walking or using your arms, hands or fingers following stroke, our iWALK and iREACH Recovery Centers may be able to help. These programs are available in both the hospital and outpatient settings and offer a unique combination of technology and expertly designed treatments, only available at Sheltering Arms. Sheltering Arms’ commitment to you does not end when your therapy or physician services are complete. The Stroke Education Program offers education and support for adjusting to life following a stroke. We also offer fitness services and a Club REC program to help you remain active and engaged with others. Click on each to learn more. To speak with someone about your needs and to learn more about which Sheltering Arms services are most appropriate for you, call 804-764-1000.